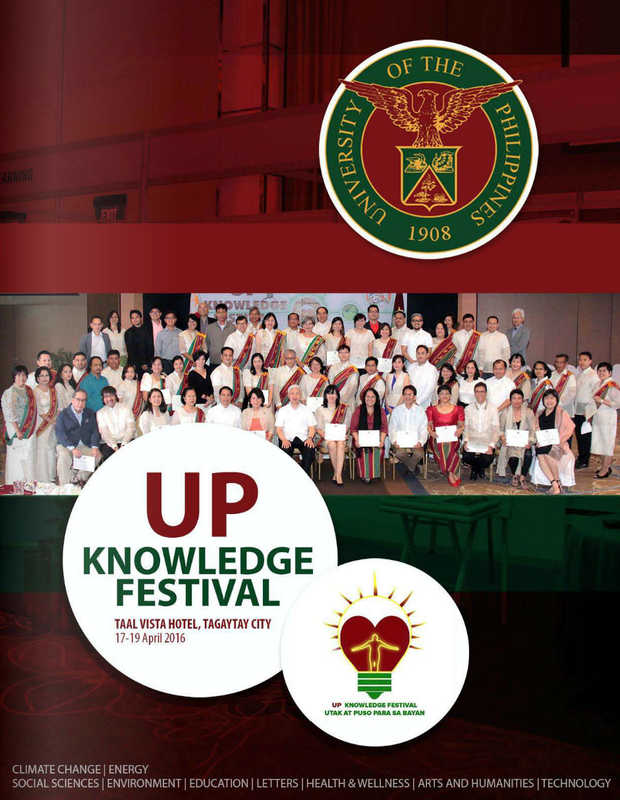 Three New Species of Begonia (section Baryandra, begoniaceae) from Luzon Island, the Philippines. Phytotaxa, 347 (3): 201-212, 17 April 2018. FIGURE 1. Begonia droseroides C.I Peng, Rubite & C.W. Lin. A, B. Habitats and habits; C. Rhizome, showing stipules, petioles and peduncle; D. Portion of leaf, upper surface; E. Portion of leaf, lower surface; F. Immature inflorescence; G. Bracts on an immature inflorescence; H. Staminate flower, face and side views; I. Pistillate flower, face, side and back views; J. A mature capsule; K. Cross section of an immature capsule. All from Peng 23418 (HAST). Luzon is the largest island of the Philippines, and because of its isolation from other landmasses it has developed a unique diversity of flora and fauna. Included in this rich biodiversity of flora are members of genus Begonia of the family Begoniaceae. 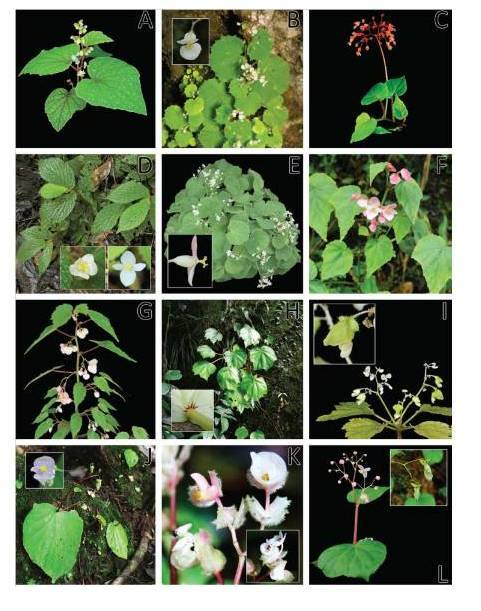 In a joint expedition to the island, botanists from Taiwan and the Philippines found three unknown Begonia species and compared them with potentially allied species. The three species are clearly members of Begonia section Baryandra. 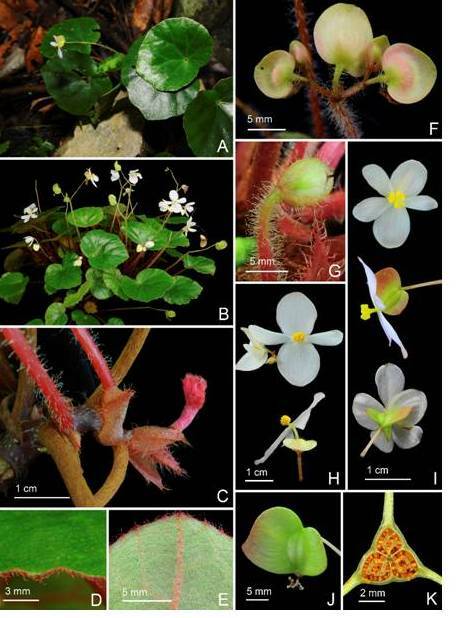 Studies of literature, herbarium specimens, and living plants support the recognition of the three new species: Begonia droseroides, B. gabaldonensis, and B. madulidii. This brings the total of Begonia species in section Baryandra to sixty-eight, of which 85.3% are endemic to the Philippines. Dividing and Conquering the Fastest-Growing Genus: Towards a Natural Sectional Classification of the Mega-Diverse Genus Begonia (Begoniaceae). Taxon, 67 (2): 267-323, May 2018. The pantropical genus Begonia is the sixth-largest genus of flowering plants, including 1870 species. The sections of Begonia are used frequently as analogues to genera in other families but, despite their taxonomic utility, few of the current sections have been examined in the light of molecular phylogenetic analyses. We present herein the largest, most representative phylogeny of Begonia published to date and a subsequent provisional sectional classification of the genus. We utilized three plastid markers for 574 species and 809 accessions of Begonia and used Hillebrandia as an outgroup to produce a dated phylogeny. The relationships between some species and sections are poorly resolved, but many sections and deeper nodes receive strong support. We recognize 70 sections of Begonia including 5 new sections: Astrothrix, Ephemera, Jackia, Kollmannia, and Stellandrae; 4 sections are reinstated from synonymy: Australes, Exalabegonia, Latistigma and Pereira; and 5 sections are newly synonymised. The new sectional classification is discussed with reference to identifying characters and previous classifications. 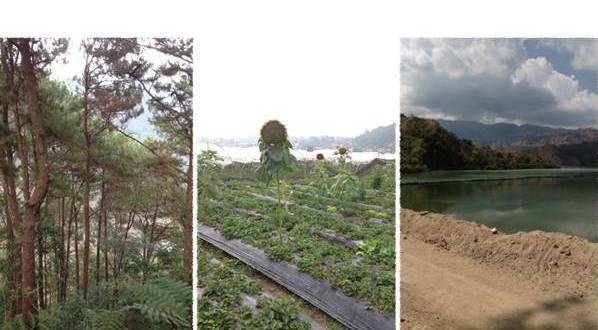 Isolation, Characterization and Rapid Screening of Copper-Tolerant Cyanobacteria Consortia from Mining Sites and a Strawberry Farm in Benguet Province, Philippines. Journal of the International Society for Southeast Asian Agricultural Sciences, 23 (2): 8-19, December 2017. Sampling Sites in Benguet Province, Phlippines: Wangal pristine forest, Strawberry Farm in La Trinidad and a Mining Site in Itogon. 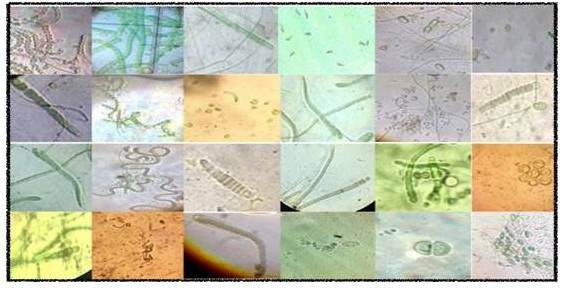 Twenty-three (23) Putatively identified cyanobacteria from a consortia isolated in extreme soils of Benguet Province. Cyanobacteria are microscopic organisms that contain the blue-green pigment that allows them to undergo photosynthesis. A mixture of the different kinds of cyanobacteria is called cyanobacteria consortium. They can be found in different land and water environments and can survive even in harsh conditions. 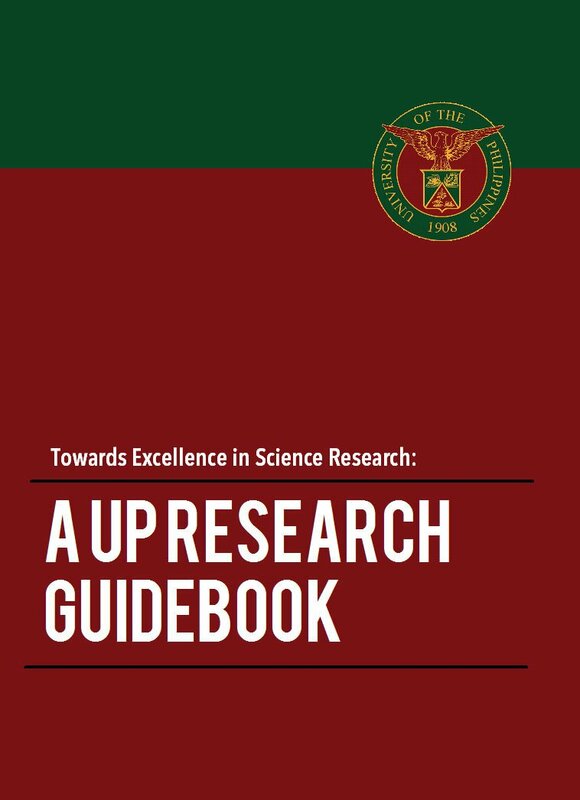 In this study, cyanobacterial consortia from soil and rock samples of mining sites, a strawberry farm and a pristine forest in Wangal, La Trinidad were isolated. The consortia were found in areas with temperature ranging from 24°C to 34°C and pH values from 5.4 (relative acidity) to 8.7 (relative alkalinity). A rapid screening method using a 24-well microtiter plate was used to evaluate the tolerance of cyanobacteria consortia to different concentrations of copper (Cu2+) metal. The consortia were incubated in microtiter plates and a spectrophotometer was used to record the optical density readings every five days in a span of forty (40) days. The cyanobacteria consortia from all sites could tolerate up to 6.0 mg/L of copper except for Philex mines that could only tolerate up to to 5.0 mg/L of copper. Thus, their isolation and characterization can lead to the identification of potential strains that can be used for bioremediation or for clean-up of metal-polluted environments. “Queering Rodrigo Duterte” in A Duterte Reader: Critical Essays on Rodrigo Duterte’s Early Presidency. Nicole Curato (editor). Ithaca, New York, USA: Cornell University Press, 2017. Investigation of the Status of the Enigmatic White‐Chested Tinkerbird Pogoniulus makawai using Molecular Analysis of the Type Specimen. Ibis, 160 (3): 673-680, July 2018. In 1964, ornithologists discovered a uniquely plumaged African tinkerbird from northwest Zambia, it was later described in 1965 as a distinct species, the White‐chested Tinkerbird Pogoniulus makawai. It was deemed extremely rare being known only from a single type-specimen, and no other subsequent records from the wild. This failure to find further individuals led to a debate questioning its taxonomic validity as a distinct species, and the P. makawai specimen was even considered by several observers to be an aberrant individual of the Yellow‐rumped Tinkerbird Pogoniulus bilineatus. To help resolve this enigma, we conducted molecular phylogenetic analysis using DNA extracted from the single P. makawai study skin, together with samples from other tinkerbird species, and from several subspecies of P. bilineatus. Phylogenetic analyses of both mitochondrial and nuclear DNA recovered from P. makawai revealed it to be nested within a clade of Yellow‐rumped Tinkerbirds. 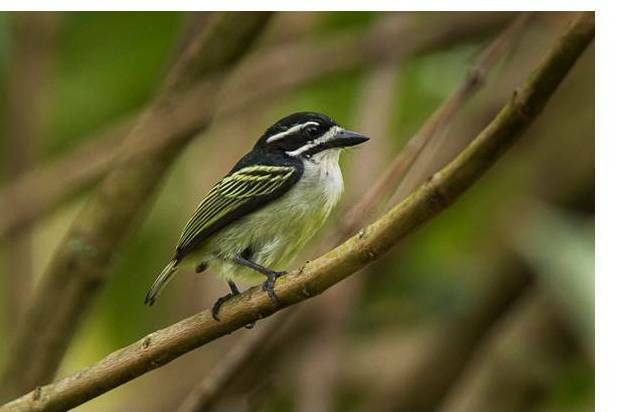 Our results suggest that White‐chested Tinkerbird is not a distinct species, but either a distinct subspecies or an aberrant form of Yellow‐rumped Tinkerbird; in either case a genetic basis for plumage differences cannot be ruled out. Floral and Algal Species Composition in An Abandoned Mine Tailings Pond at Bgy. Mogpog, Marinduque, Philippines. EnvironmentAsia, 11 (2): 91-108, 2018. Copper contamination caused by mining activities of CMI at Bgy. 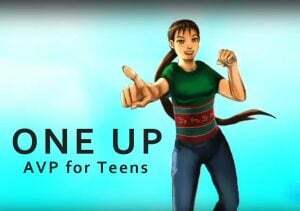 Mogpog, Marinduque should be addressed. This study assessed organisms found in the area for their potential as phytoremediators. 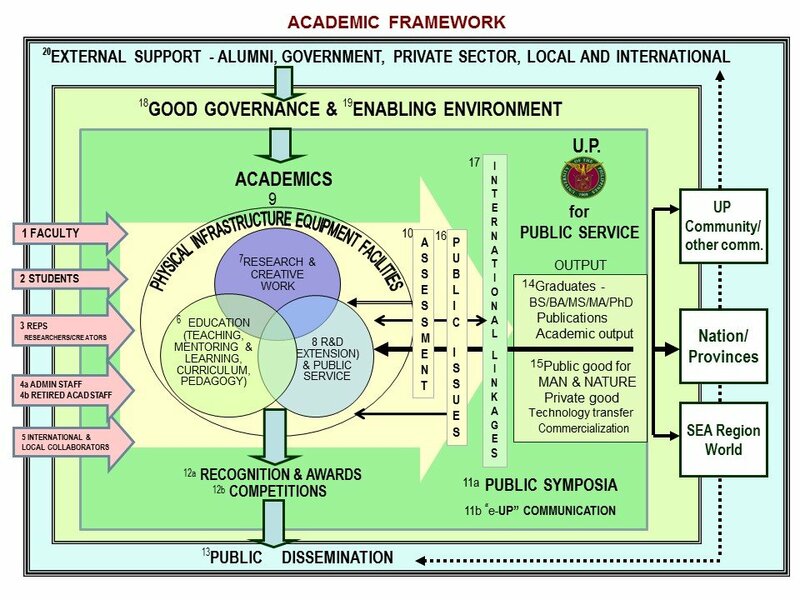 Three stations were established around the Ino-Capayang Mine-made pond. The copper concentrations, pH, dissolved oxygen (DO), chemical oxygen demand (COD), and total suspended solids (TSS were determined and used to characterize the condition of the soil and water in the area. The study revealed 12 microalgae taxa in the water. Diatoms account for 70% of the overall total abundance. Station 3 had the most number of algal taxa. However, the microalgal diversity is found to be low, which can be attributed to the presence of copper in the water (mean = 0.097ppm) and high TSS (mean = 28.07ppm). Soil had high copper concentration and soil pH is relatively more acidic than that of pond water samples. The floristic inventory resulted to 27 species belonging to 19 genera from 11 plant families under Division Ancerophyta. 3 species belonging to 3 genera from 3 families were recorded under Division Pteridophyta. Among the identified grass species that are capable of dominating the site are: Bamboo (IV=0.40), followed by Synedrella nodiflora (IV=0.36), Axonopus compressus (IV=0.36), Mimosa pudica (IV=0.35), and the 5th in rank is Poaceae sp. 1. The high Importance Values of these plant species suggests their capability to tolerate soils with high copper concentration, hence can be potential phytoremediators in the area. 2.4 GHz Pattern Reconfigurable Corner Reflector Antennas using Frequency Selective Conductor Loops and Strips. IEEE Region 10 Annual International Conference, Proceedings/TENCON, 2914-2919, December 2017. 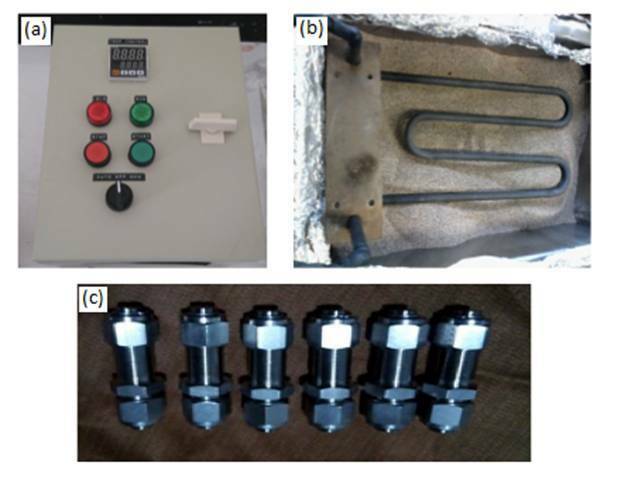 Effects of Temperature and Reaction Time on Yield and Properties of Biocrude Oil Produced by Hydrothermal Liquefaction of Spirulina Platensis. International Journal of Smart Grid and Clean Energy, 7 (1): 32-41, January 2018. An increasing demand of fuels needs alternative resources that can aid in energy sustainability. Overdependence in fossils as main source of fuels can bring problems like fossil shortage and environmental problems. One potential alternative investigated in this research is the use of biomass in producing biocrude, which can later on be refined. Biomass is abundant and a renewable resource. 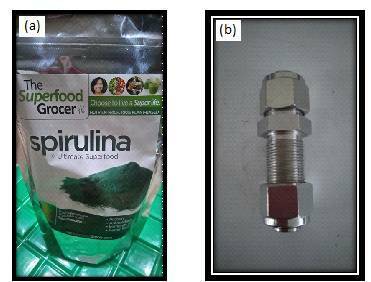 In this research Spirulina microalgae is used as biomass as it can be grown in non-arable lands, not in competition to food demand, has faster growth rates, high-area specific yields and with short cultivation cycle. The particular process used to convert biomass to biocrude in this study is hydrothermal liquefaction or simply known as HTL. This is a process suitable for high-moisture biomass like microalgae. HTL is done by heating the microalgae slurry inside a mini reactor at high temperature and pressure. In this study, different conditions based on the heating temperatures and the reaction times are investigated. The effects of these factors on the yield and properties of biocrude are observed and analyzed. Composition of the biocrude produced from microalgae are also determined and compared to that of fossil petroleum. Influence of Potassium Carbonate (K2Co3) as Catalyst on Biocrude Oil Yield and Properties via Hydrothermal Liquefaction of Spirulina. International Journal of Smart Grid and Clean Energy, 7 (1): 43-47, January 2018. This study is relevant to developing biomass, specifically microalgae, as a source for biofuel production through hydrothermal liquefaction (HTL). Hydrothermal liquefaction (HTL) is a thermochemical conversion that requires no drying of the feedstock because the whole microalgae biomass is decomposed and converted in hot compressed water. A biocrude oil is obtained as the main product, along with gaseous, aqueous and solid by-products. It was observed in different studies that catalysts, particularly alkali catalysts, improve liquefaction efficiency. This study investigated the effects of potassium carbonate (K2CO3) on the yield and properties of biocrude oil. Different amounts of catalysts used were 5, 7.5, and 10 wt. %, respectively. Biocrude oil was produced from hydrothermal liquefaction of Arthrospira platenis (formerly referred to as Spirulina platensis) in a micro-reactor at 280 and 350 degrees Celsius for two levels of residence time, 15 and 45 minutes. The biocrude produced under these different conditions were analyzed for carbon (C), hydrogen (H), and nitrogen (N) content. Biocrude oil yield and its calorific value were also determined.